If you are doing any sort of SEO – it’s not uncommon to run hundreds of search queries per day in Google to get a feel for the neighborhood. Unfortunately, Google will alter your search results based on your own search history and habits. This is all well and good – except that you will be getting a skewed view of the actual search results. In order to get an accurate search snapshot of your query (ie: the same results any typical Googler will see for the same query) – you will need to de-personalize your search results. It’s quite easy to do this with Chrome. 3.) Enter any keyword you would like.. into the KEYWORD field. So, for example if you used the keyword: pws, you would simply enter “pws” into the address bar, followed by a “TAB” to do a de-personalized search. 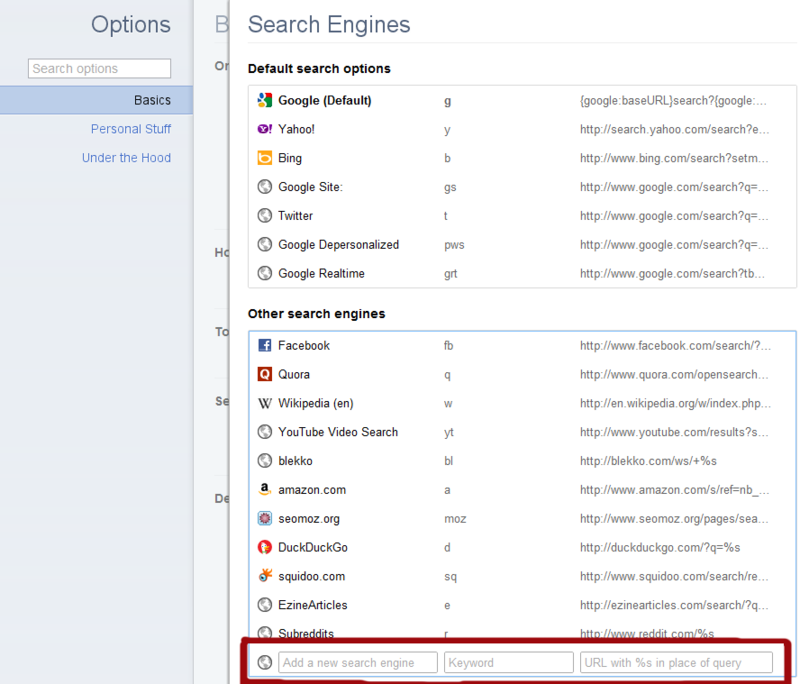 You can also make this entry the DEFAULT METHOD of search so every search will be de-personalized.